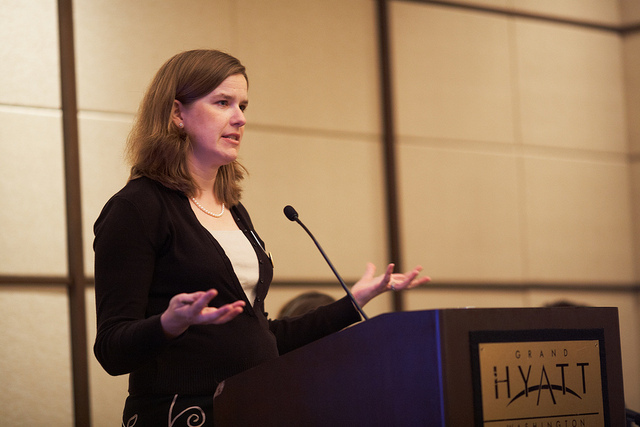 Elizabeth moderating the National Women’s Cycling Forum Photo from the League of American Bicyclists flickr page. 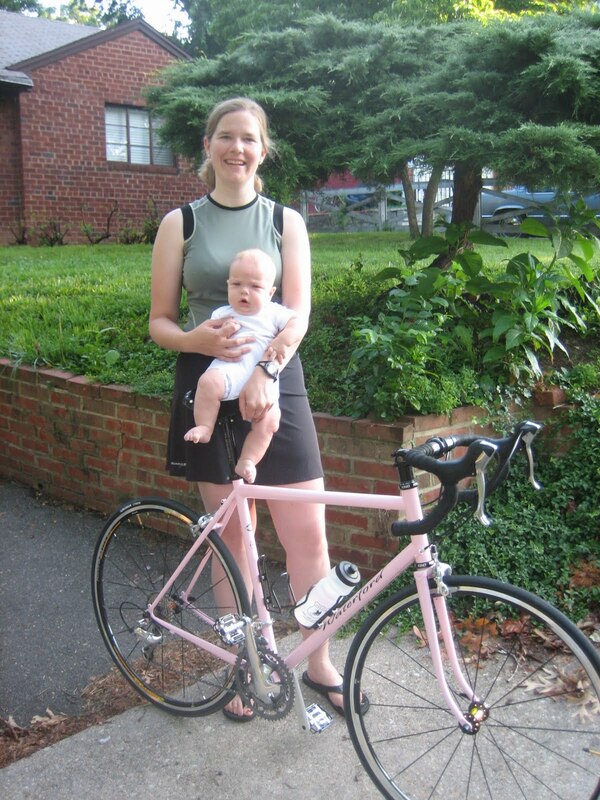 A little over a decade ago, a coworker convinced Elizabeth Kiker that her 10 mile commute was doable by bike. And in doing so, an advocate was born. Her informal advocacy eventually led her to work for the national bike advocacy organization the League of American Bicyclists, based in Washington, DC. She is now the League’s Executive Vice President, in charge of operations and fundraising. She also runs Every Bicyclist Counts, a side-project that memorializes and compiles data about cyclist deaths in the U.S. I spoke to Elizabeth about her inroads to advocacy, the League’s work, growing bicycling sustainably in the U.S., underdog biking cities, and more. Let’s start with the personal. What’s your background as a cyclist, either for recreation or transportation? I grew up in Houston, Texas, which isn’t that great for biking. But I did bike to school there and I loved it. And I crossed some really big intersections! This was long before Safe Routes to School transformed everything (though I’m not sure Safe Routes to School has transformed Houston yet). I just loved the freedom of it. But, like most Texas children, I moved away from biking when I got my driver’s license. Then in college I started riding again. I kept riding for fun my whole life. At my last job, which was 10 years ago now, someone told me that I could commute to work. I said “you’re crazy. It’s 10 miles away, there’s no way you can commute on your bike.” He met me the next morning and showed me that you could. It turned out there was a trail literally from my door to the door of the office. I don’t know how I didn’t know that. I just became obsessed. I started making everyone in the office ride. I bought a map and would meet them in Maryland or way out in Virginia and show them how they could drive their car to the trail then ride in, or ride on the road. Then we started a little bike club and I saw the listing for the League communications director. I wrote Andy (Clarke, League President) a very passionate letter saying “please (ITALICS), you must hire me!” and he did. What about advocacy attracted you? At first, I was more a passionate cyclist than I was an advocate, but when I joined the League I quickly learned. Also, I was a member of the Washington Area Bicycle Association and Potomac Pedalers, but I would just write a check and assume they were doing great work. Honestly, it was the feeling of biking and the knowledge that I would be working on programs that would allow more people to bike; that would allow more people to have the transformative, “you can get there from here!” experience that I did. It was a really compelling reason. It still is a really compelling reason to get up and come to work. Elizabeth, her son, and her pink Waterford. Photo from the Car Free American blog. Bike advocacy is a broad term that means a lot of things to a lot of different people. What is the League of American Bicyclist’s version of advocacy and how would you describe the League’s work in general? The League is working to make sure that everyone in the United States who wants to bike can bike and that it’s easy for them to. So if you’re feeling like you want to bike, but it’s scary, we want to have the solutions to that problem. That might be working to make sure people are able to ride their bike on trails or on roads that are wide enough with drivers that are used to seeing cyclists. We’re working through our programs. We’ve got the National Bike Summit, which is coming up, so it’s first on my mind. We go to Congress and talk about how bicycling is transportation and it does matter and it solves so many of America’s problems from obesity to climate change. Our Bicycle Friendly America program has 242 communities nationally certified as Bicycle Friendly communities and working to be even better. We’re even launching a Diamond certification for communities that are already Platinum and want to do better. Our education program is teaching people how to ride. We just did some starter videos on starting and stopping and signaling. Our whole work is to make it so people think they can go for a ride and use it to get where they want to go easily and without fear. There seems to be very solid momentum for bikes-as-transportation right now in the US, even though it works out to about 1/2 of 1 percent of the population using bikes as transportation. Yeah, if you look at the growth it’s amazing. 47 percent growth nationally. 80 percent in Bicycle Friendly communities! But yeah, if you look at it as a whole (of the mode share) it’s .5 percent. But the growth is there and we believe it will continue to grow and we’ll get to a bigger percent soon. **What do advocates–formal or otherwise–need to do around the country to ensure that this is sustainable growth and not just another bike boom and bust like it was in the 70s? Growing sustainably matters. And I think the most important thing that anyone that rides a bike needs to do is say to a friend, a neighbor, a partner “hey we can go by bike, let’s go together.” That kind of leading by example can show someone that you don’t have to take Interstate 66–the way that person did for me. There are lots of ways to get around and it’s usually more fun by bike. The next thing people really need to do is get involved locally. Go to your local bike advisory committee meetings. If there isn’t one, go to your city council and ask for a bicycle advisory committee to be formed. It’s a small thing. It’s one night a month, but it really matters. I’m lucky enough to live in Arlington, Virginia where there’s a lot of staff dedicated to bicycling and they all show up to the advisory committee and have lots of great ideas and they’re great listeners. And because I’m obsessed with the National Bike Summit right now, the other thing to do is to meet with your Representatives when they’re in town. Tell them that bicycling matters, it matters to you, it matters to your family and their work on bicycling will make a difference to you at home. It’s not just about meeting in DC, though we think you should come to the National Bike Summit, but also meeting locally. Take them on a bike ride. Show them an amazing trail that was put in, or a bike line, or a facility that helps you get where you want to go. It can’t be overstated how important those kind of connections are. 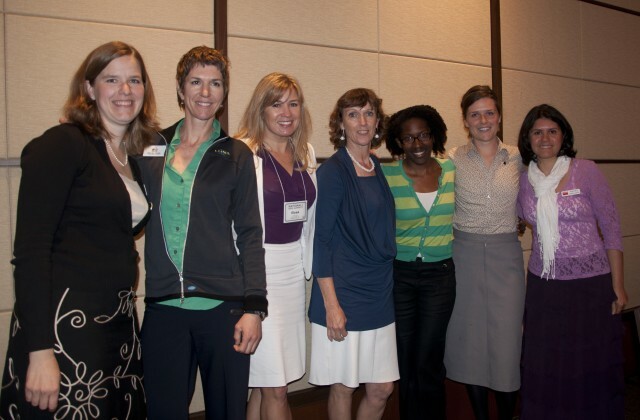 Elizabeth with advocates, athletes, writers and industry reps at the National Women Cycling Forum. Photo from the League’s blog. In the same vein as the National Bike Summit, does the recent election present a good opportunity for bike advocates in the US and how does the League plan to capitalize on the opportunity? It certainly presents a great opportunity. Right now we’re watching to see if Transportation Secretary Ray LaHood will step down. He showed some real commitment and we’re not certain he’s going to retire and we’d love for him to stay. But who will be the next transportation secretary will really have a big influence. We have some momentum because we were included in the last transportation bill, even though several leading republicans writing the bill said bicycling would not be in it. But other republicans stepped in and said “no, this is really important to my constituents” and made sure it stayed in the bill. The next transportation bill is only 22 months away. It was a very short bill, just two years. So, having that kind of momentum will be really important. We’ll need to stay in touch with Republicans and Democrats on the Hill, Senators and Representatives and tell them how much we appreciate them including us in the last bill and how much we need them to include bicycling in the next transportation bill to really continue transforming America. Cities like Portland, Minneapolis, and perhaps New York are seen as the gold standard of American bike cities because of their advocacy and infrastructure. What are some examples of other lesser known cities doing good things for bikes? A few good examples come to mind. Long Beach, California is really transforming in a short time. Highlights are their downtown cycle tracks, public bike sharing, and strong partnership between local advocates and city leadership. Arlington, Virginia. (my hometown) has a public bike share, is building a new bike park for kids to learn to ride (with a painted and signed loop), and has the most high tech and thorough bicyclist counting system in the country. Rock Hill, South Carolina has a velodrome they built two years ago, and has based mixed-use development in the middle of single-track mountain biking trails and a world-class BMX track. Omaha, Nebraska. does outreach to the business community to get more commuters riding (with incentives), offers lots of bicycling education classes, and is rapidly expanding their bicycle network. Any final thoughts on bike advocacy in America? I really would just encourage everyone who’s reading your site, who’s working as a frame builder, who’s taking pictures to get involved. Transforming America really does start with you telling your friend “let’s ride our bikes together.” Helping them get back on their bike, helping them pump up their tires and get going. It’s amazing what difference that will make. The League is working to give you the tools to do that. But on the most local level it’s up to all of us. This entry was posted in Advocacy, Interviews and tagged american bike advocacy, andy clarke, bicycle friendly communities, bike advisory committee, bike advocates, elizabeth kiker, league of american bicyclists. Bookmark the permalink. Hi Elizabeth – a friend from seattle showed me your work and I love everything you are doing. working away in my free time as chair of the london cycling campaign feels like a struggle sometimes and i envy the bike trails you speak of but reading your piece reminds me that it is all WORTH IT!! I am doing a talk at our national UK conference on why fewer women cycle, what are the barriers and solutions and would be really interested if you had done any work or could point me towards research in this area. Is it ‘just’ the safety aspect, is it clothing, helmet hair? Would love to hear your views – r comments from anyone else out there!